I almost cried when I saw this. Reminds me of my best friend. She is always there. Wonderful and moving. 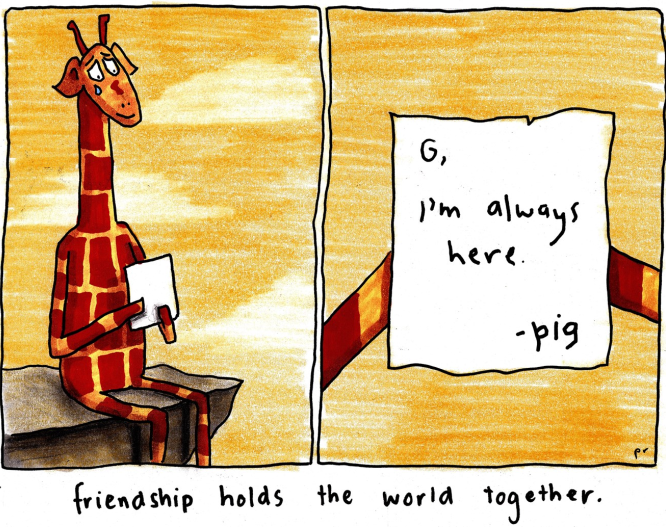 Good pig, lucky giraffe.